Do you have an aspiring astronaut in your family? Are you an aspiring astronaut yourself? For those of us who grew up dreaming of being in the astronaut corps, the answer to every career day question was an easy one. Who doesn’t want to be strapped into a rocket and shot into space at 22,500 miles per hour? I know for a long while that was my dream and for many children it remains one of the most sought after occupations to aspire towards. How many rides until I become an astronaut? 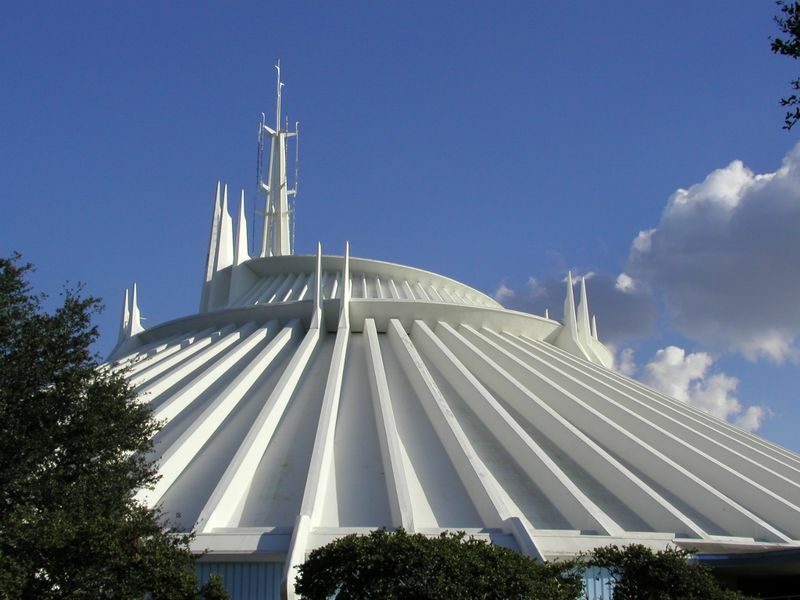 Space Mountain (Magic Kingdom) – The most recognizable space-related attraction at Walt Disney World, Space Mountain is a throwback to the height of America’s love affair with space exploration. A lot has changed since the steel roller coaster opened in 1975, but what has not is the futuristic vibe that extends all the way from the star map and interactive queue (much improved as part of a 2009 renovation) to the iconic energy tunnel which “propels” you into outer space! Adding to the sensation of space travel is the intentionally dark interior of the mountain and the “Starry-O-Phonic” soundtrack which has become a Disney classic. NASA astronaut and Mercury 7 member Gordon Cooper was part of the creative team that developed Space Mountain in order to make the ride seem like actual spaceflight and the result has left many a rider (including yours truly) wondering how many more thrilling, albeit bumpy, rides through space it would take before NASA officially declares you as astronaut. 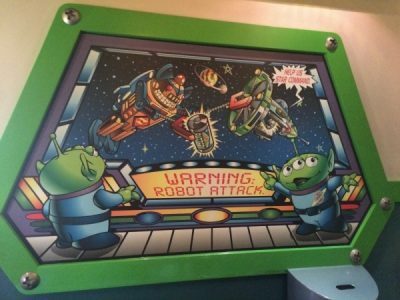 Buzz Lightyear’s Space Ranger Spin (Magic Kingdom) – Buzz Lightyear, while part of the Toy Story universe, has deep roots in the lore and history of NASA. Inspired by the Apollo-era, his spacesuit references many design features of the suits worn by actual astronauts: clear helmets, skullcaps, and white suits. Buzz’s name is also a reference to Buzz Aldrin, the second man to walk on the moon. 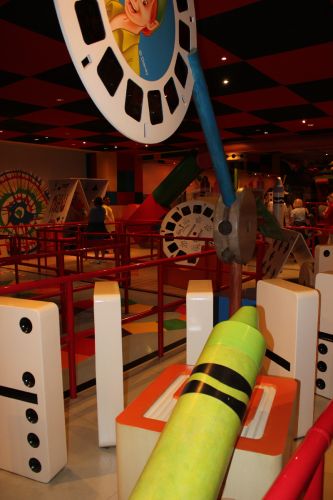 It was clear from the beginning that John Lasseter molded Buzz Lightyear in the image of our first astronauts and this ride, along with the wildly popular Toy Story Mania in Disney’s Hollywood Studios pay homage to them in a way only Disney could. Astro Orbiter (Magic Kingdom) – Another Tomorrowland staple, the Astro Orbiter is a spinning attraction which is meant to mimic traveling through space and is a landmark for visitors to Tomorrowland. Built around the same time as Space Mountain, the ride helps to tie the futuristic theme of Tomorrowland together and is a great ride for smaller astronauts who want to get their interstellar thrills but cannot ride Space Mountain. The Twilight Zone Tower of Terror (Disney’s Hollywood Studios) – Didn’t expect to see a non-space themed ride on this list? 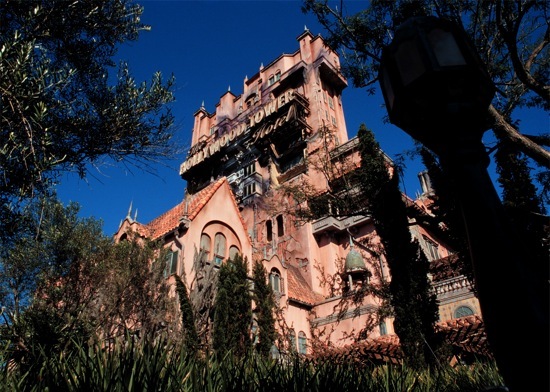 Well, the Tower of Terror is the only place in Disney World you can experience weightlessness. Similar to NASA’s infamous “Vomit Comet,” the Tower of Terror shoots you up into the air and stops. For a few seconds at the top of your ascent riders experience weightlessness due to the rider being lifted out of their seat and experiencing a short amount of free fall before the cab catches up. Your body does not weigh less, you just feel and see gravity acting upon you! The next time you ride the Tower of Terror be sure to wear a lanyard or something loose attached to your body so you can see the effect (a runDisney medal is perfect!) However, I would not recommend bringing something loose to let into the cab because what goes up must come down. And on the Tower of Terror it comes down in a hurry. Anything Star Wars-related – How could I not include the galaxy far, far away? With the release of The Force Awakens, Rogue One: A Star Wars Story, and numerous other canon and non-canon Star Wars media released in the past couple of years the franchise has marched into the parks and attractions for space opera fans can be found everywhere! Star Wars aficionados should begin in Disney’s Hollywood Studios with the venerable Star Tours at rope drop and stay all day until the Star Wars: A Galactic Spectacular fireworks show, which is literally out of this world! 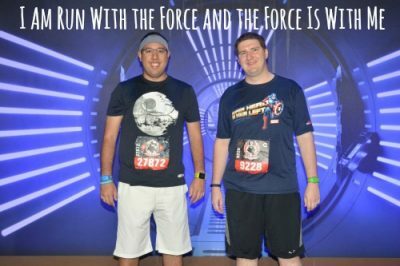 Another way to get your Star Wars fix while staying fit is running the runDisney Star Wars Dark Side weekend. Whether it is the 5K, 10K, half marathon, or Dark Side Challenge (10K + Half), Disney goes out of their way to fill the course with Star Wars magic (running through the Battle of Endor anyone?) It is an experience no Star Wars fan should miss. As The Last Jedi moves at lightspeed towards a December 2017 release and Star Wars Land is taking shape in Disney’s Hollywood Studios with its opening happening in 2019, now is definitely the time to get your Star Wars fix at the Disney parks. Of course, the perfect complement to a space-themed Walt Disney World vacation would be a trip to the Kennedy Space Center, located about one hour east of Disney World. The heart of America’s space program (I consider Houston’s Johnson Space Center to be the brains), Kennedy Space Center is a pilgrimage every aspiring astronaut needs make. 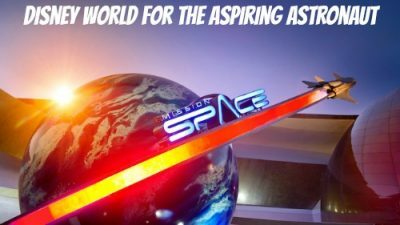 The relative proximity of the Space Center to Walt Disney World makes it perfect for a day off from the parks and a recent expansion added new attractions; which include a space shuttle launch simulator and a chance to view the shuttle Atlantis. The fourth operational space shuttle, Atlantis flew 33 missions into space including STS-135, the final mission of the STS program, and travelled over 126 million miles! The depth and breadth of immersion at the Space Center is astounding and the highlight for many visitors is a complimentary 45-minute bus tour through the active launch areas which illustrate the amazing power of spaceflight in ways an exhibit cannot. Having made the trip to Kennedy Space Center countless times in my life and even multiple times on the same trip I can safely say it is one of the best non-Disney attractions in Florida and a must visit even if you are not a fan of spaceflight. Admission to Kennedy is about half of a one-day park ticket ($50 vs. $105) and Grey Line offers a roundtrip bus fare ($59) with pickups at Disney’s All-Star Music and the Walt Disney World Swan Resort on property if individual transportation cannot be arranged. Since the 1960s a trip to Florida has been a dream for any aspiring astronaut. The histories of Walt Disney World and the Kennedy Space Center are forever intertwined, given Walt Disney’s love of spaceflight and his decision to purchase land in Central Florida around the same time NASA began launching rockets from Cape Canaveral (NASA’s reason was a little more practical than Walt’s: Florida is the closest US state to the Equator and rockets launched closer to the Equator take a shorter route into orbit and thus can carry more cargo). Walt even used NASA’s now-defunct Manned Orbiting Laboratory Project to drive speculation about other industries purchasing land around Bay Lake. Any visitor to Walt Disney World, not just the ardent fans of the American space program, should take time to explore the ties between Walt Disney World and spaceflight. Whether it is riding the rides on this list and then some or taking a day to visit the Kennedy Space Center no visit to Central Florida would be complete without fostering an appreciation for the astronaut corps and those who aspire to join them someday. What are some of your favorite ways to experience Space travel at Walt Disney World? Share them in the comments! Is the Jungle Skipper Canteen Doomed? Policy wonk with a science degree. Patient Zero for #SECBasketballFever. Resident of New Orleans. Geaux Tigers! My favorite ride is Ellen's Energy Adventure but the only person who's spent more time on Mission:SPACE than me is Mark Watney.